Private browsing is browsing mode that won’t keep tracks of any of your browsing history or any passwords or any other user activity. The users enable it for their privacy or data security. But it isn’t must that a System is used by only a single person. Sometimes other users may also use the System of others. For that purpose the system Owner needs to keep track of that entire user browsing activities that what he is surfing and doing over internet. That’s why the In-Private Browsing should be disabled in all browsers. 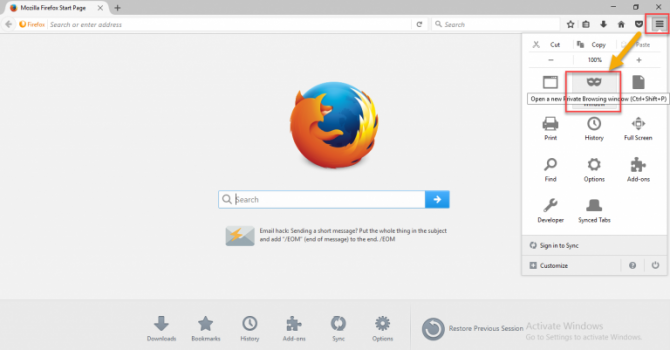 Let’s see how we can Enable and Disable In-Private Browsing in all browsers. Open your Chrome browser. In top right hand side, you’ll see “three dots”. Click on it and select “New Incognito Window”. Or press short cut key “Ctrl+Shift+N”. When you click on it, a new window will open and it contains a man with hat in center of your browser’s window. The Hat Man keeps all your activities hidden. In Incognito window, you can still bookmark the pages and download anything, but your extension will not work in Incognito window. If you want to disable it, simply close the Incognito Window and again start using your browser in normal browsing mode. 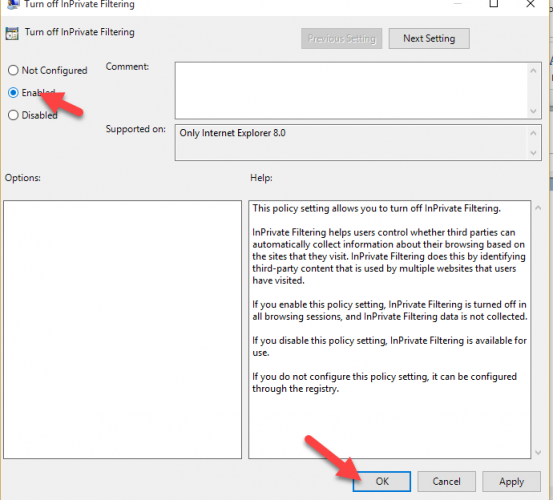 For enabling In-Private Browsing in Firefox, apply the following steps. Open the Firefox browser and on top right you’ll see the “three lines “menu. Click on it and select the “New Private Window”. Or press “Ctrl+Shift+N” from keyboard. Blue window will appear, and now you can surf over Internet privately. It won’t save visited pages, cookies, temporary files and searches. But it saves your downloads and bookmarks. Private browsing doesn’t make you anonymous, your employer and internet provider service still keeps track of pages which you visit. 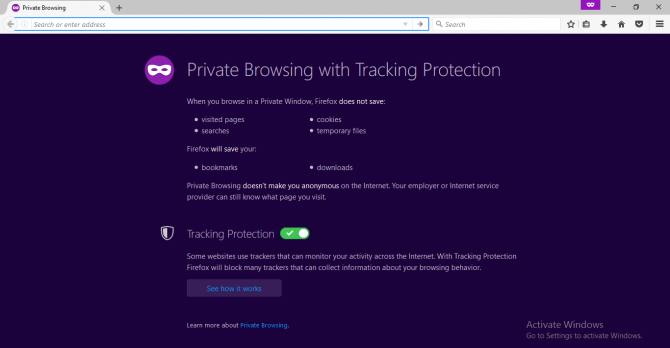 And with “Tracking Protection” feature, it blocks the entire tracker of websites that can keep your important information, so with enabling this feature, no worry of being tracked. If you want to exit private browsing, close the window of Private Window. Open your Internet Explorer Browser. And click on Gear icon which is available in top right side of browser, click on it and select the “Safety” and then In-Private Browsing. A new window will appear, on Address bar a blue mark will appear that shows the private mode. Whatever you search or browse, it will not go into your history. And no track will be recorded of your activities over Internet. All your extensions will be disabled in Private mode. So if you want to disable it, close the window, the Safe mode will closed. For other users who uses our System, it is important to keep their activities record. For this the In-Private Browsing must be disabled. See below that how you can disable it for any browser. 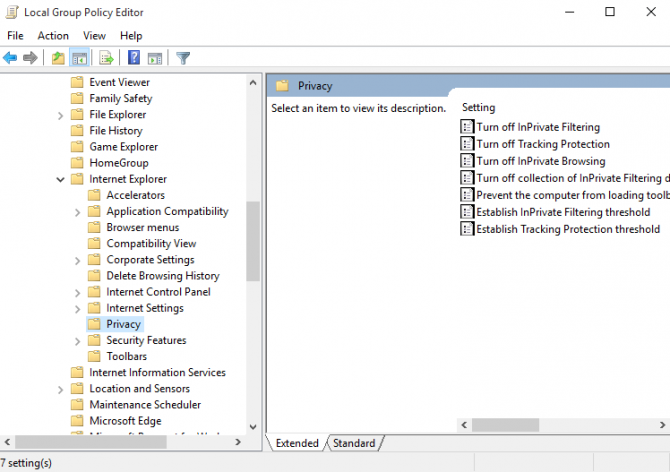 The Internet Explorer’s In-Private browsing can be disabled by doing simple and easy changing in Group Policy Editor. 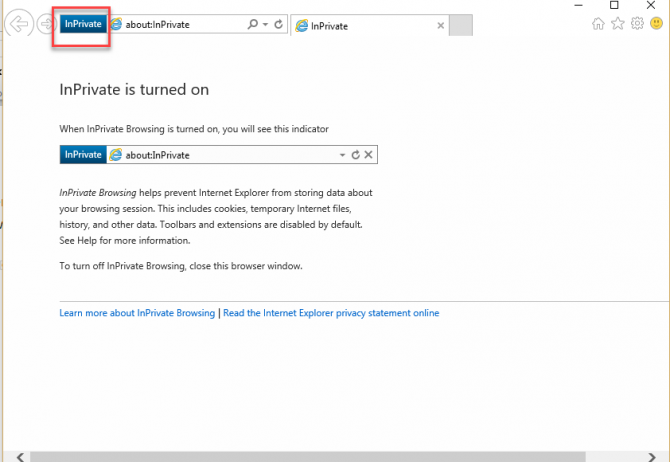 Walk with the below steps to do it disable in your IE. In right hand window, you’ll see the first result “Turn Off In-Private Filtering”. Double click on it and click on “Enable”, to enable this feature. This is very light resources on your system and is compatible with Windows Vista, Windows 7, Windows 8.1 and Windows 10. 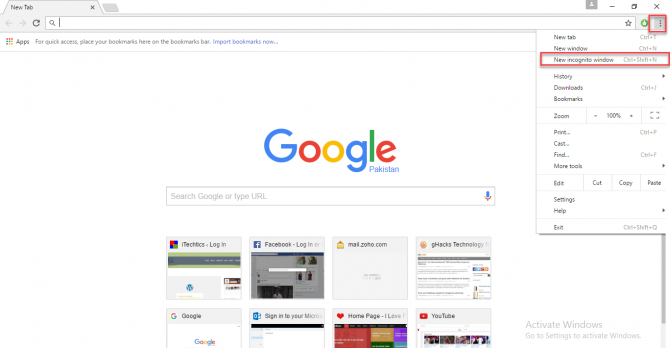 Find what you want to do with your browsing for each browser whether to be tracked or not to be tracked. It is good for every user not to play with settings. Keep them as they are. Private Browsing also helps in troubleshooting of your system but in case of need, you can disable the In-Private Browsing for any browser by applying above steps.